Family Volley: Something I learned in the POURING DOWN RAIN! Something I learned in the POURING DOWN RAIN! As I mentioned yesterday, I spent the last 4 days in a tent, away from home, in the pouring down rain. Not just light sprinkles, I mean flash flood rains. Why did we stay in that rain you ask? Well, when you have planned an"experience" for 200 youth, you usually stay. I accepted that as a youth, I now accept that as a leader. This type of challenge reminds you of things. There are the obvious things. Gratitude for family, shelter, warm food, dry clothes, conveniences, cell phone connections, hot showers, etc. This time I was reminded of another lesson. One I often forget. Bear with me for just a minute. You see this conference was based on a story in the Bible. The story of Joshua. 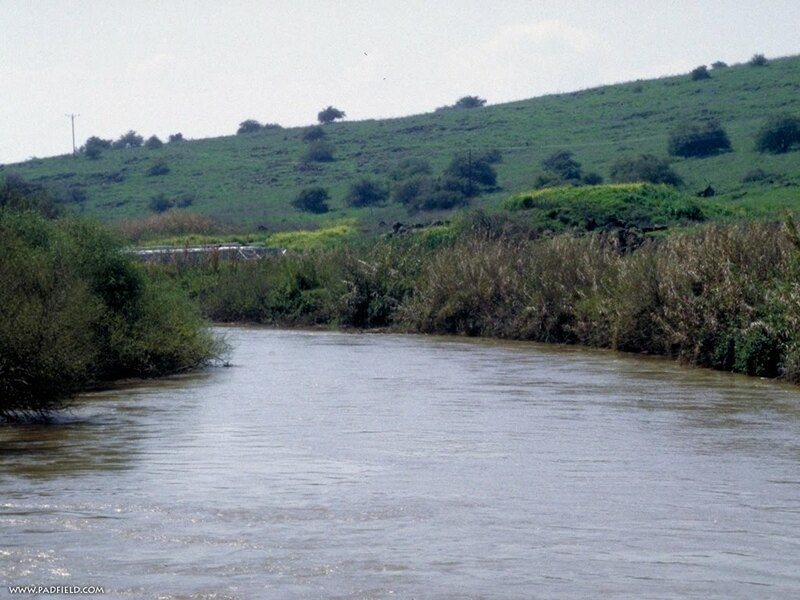 Joshua was a prophet and he had to get his followers across the Jordan, a river that was large and at the time overflowing its banks. Impossible to cross. God told Joshua that if the priests (religious leaders) would put their feet in the water that he would cause the water to "heap up behind them", and dry land would appear so that they could cross the river. If I were with Joshua and his people I would have had my own thoughts. "I know, how about you show me some dry land and THEN I will be happy to stick my foot in." The priests did as they were asked. They went to the edge of river, put their feet in, and as promised the water "heaped up behind them" and dry land appeared. Joshua and is followers crossed. An estimated 2 million people. There are many lessons to be learned from this story of Joshua and the Jordan. For me, there is one that will not leave my head. You see, God asked Joshua and his religious leaders to WALK TO THE EDGE OF THE LIGHT AND THEN TAKE A FEW STEPS INTO THE DARKNESS, THEN THE BLESSINGS WOULD COME. They had to willing to put their feet into the unknown dark cold water BEFORE the blessings could be theirs. It really hit me this past week, as I was trying to "herd" youth through real rivers caused by the storm, that I am not always willing to take those first few steps into the darkness. I want to see the dry land first and then I will venture out. I want to know where the decisions will lead before I commit to making them. I have been wondering how many blessings I have denied myself, how many opportunities I have missed, because I have not been willing to take those steps. Regardless of if you believe in the Bible, or the story of Joshua, or God for that matter, there are plenty of modern day examples of men and women who have been willing to take those first few steps into the unknown. Think of explorers and inventors for starters. What about when we decided to bring a child into the world, or when we support the decisions our spouses make, or trust in others advice and guidance. I am not looking to discover the new world. I am simply trying to serve and love my family and my God, raise moral children, and become one with my husband. Even though my decisions might not change history, my decisions affect our families history. My daily rivers can often seem wide and overflowing. I was able to get some sleep last night, play with my children today, and I have feeling back in all my fingers and toes. Above that, I feel stronger and more in control. I have decided I am not going to let fear keep me from taking those steps into the darkness. I know that there are great blessings and opportunities for my family and for myself if only I will be willing to step first. The obstacles will be "heaped up behind me" and the land will be made dry. I will be able to walk to the other side where the treasure awaits. ARE THOSE "FIRST" STEPS HARD FOR ANYONE ELSE? Great lesson learned. So hard to take those steps. once again you have opened my mind to a great lesson I almost let slip by. Thank you for your wisdom and testimony. Those first steps are some I will need to learn to take with a smile and a strong heart.